Appearing on the midday show on 97.5 the Fanatic with Jason Myrtetus and Harry Mayes, ESPN insider Chris Mortensen dropped an interesting hint that the Philadelphia Eagles could be trading a cornerback for a third-round pick. While the tweet above says "defensive backs," within the context of his words it's fairly clear that Mortensen was referring to cornerbacks, since he mentioned Sidney Jones' emergence as a reason why the Eagles would feel comfortable dealing a player. So who could it be? Let's go by process of elimination. • Patrick Robinson: He's a free agent. The Eagles can't trade him. • Sidney Jones: That's not happening. The Eagles drafted Jones with a second-round pick in 2017, knowing that he wouldn't be able to play his rookie season. Obviously, they didn't put that kind of investment in just to trade him for a three the next season. • Rasul Douglas: It wouldn't make much sense to trade Douglas for a three when they drafted him in the third round last year, and he showed more than enough to be worthy of the pick. • Jalen Mills: Mills has two years left on his contract, and he's one of Jim Schwarz's favorite players. If Mills were to be dealt, that would come as a big surprise to me. • Ronald Darby: Ding ding ding! You know how the Eagles don't have a lot of money to spend this offseason, and are projected to be about $9 million over the cap when the new league year begins on March 14? Well, they're going to be tight up against the cap next year, too. The Eagles have by far the most money in the NFL committed toward their 2019 cap. Darby is in the final year of his contract, and he's going to be very difficult for the team to afford next offseason. Rather than let Darby walk next offseason for nothing, if the Eagles can get a third-round pick for him now, that would make a lot of sense. After suffering what looked like a gruesome injury Week 1 against the Washington Redskins, Darby returned to the field Week 11 in Dallas. He had his bad moments (vs. the Giants Week 15) and his good moments (his INT vs. the Raiders flipped the likely outcome of that game). With a full offseason in a potential new team's scheme, and no injury setbacks, it's fair to expect that Darby should be more consistent in 2018. A third-round pick in return feels like fair compensation, due to the importance of the position, and the dearth of talent at corner, league-wide. In other words, this rumor passes the smell test to me. 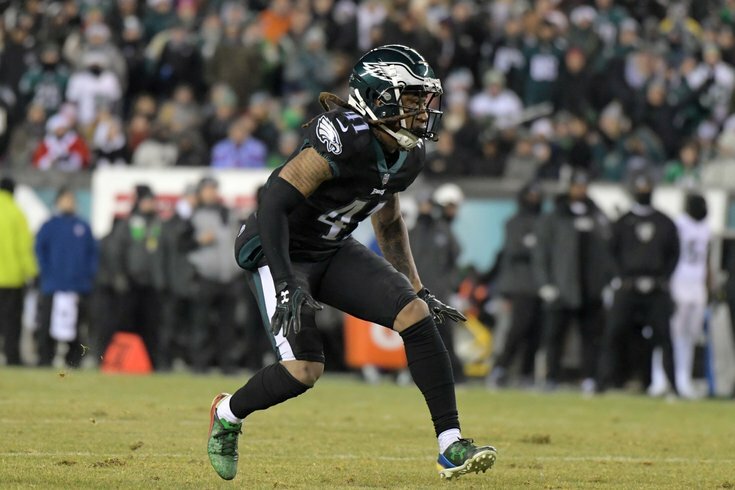 Would you trade Ronald Darby for a third-round pick?